Divorce records consist of a divorce decree and a Divorce Certificate. These are filed in state's court and are considered public records. However, in most states divorce records may be obtained only by qualified individuals. These are some tips on how to obtain copies of divorce records by requesting them yourself. Decide which divorce records you want to request. 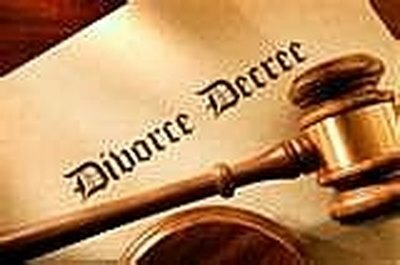 A divorce decree is prepared and filed at a County's court and includes the terms of the divorce. A divorce certificate is generally filed at the State's Department of Health, and includes information about the ex spouses. Establish the divorce's basic details before researching. Obtain the first and last names of the ex spouses, the state where the marriage ended and a divorce date if possible. Divorce records can be located and filtered more efficiently as more details are submitted in the request. Prove that you are an eligible person authorized to obtain copies of divorce records. Generally, state government agencies that issue copies of divorce records require that you be, the ex husband, ex wife or a person with a court order. Visit your State department of Health to obtain copies of a divorce certificate and the County's Clerk's to get copy of a decree. You can use the CDC vital records website at cdc.gov to find all the states requirements under one website. Search for the vital records tab. Follow the instructions for preparing the request for your state. In most states, the divorce records can be obtained via the internet, the telephone and by mail. The fees charged for copies of divorce records vary by state. Free divorce records are difficult to obtain because it costs money to get records from the government and prepare copies. Submit the request for copies of divorce records, make the payment and wait for your copies in the mail. Receiving the documents may take from one to several weeks. Contributor. "How to Get Copies of Divorce Records." , https://legalbeagle.com/5102315-copies-divorce-records.html. Accessed 20 April 2019. How do I Find Out If Someone Is Married Without Having to Pay a Fee?